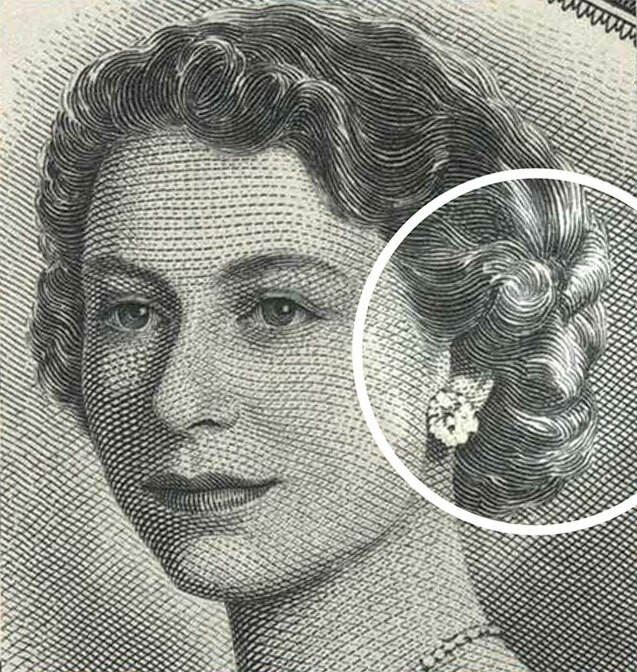 This series caused controversy because highlighted areas of the Queen's hair gave the illusion of a grinning demon behind the ear. The term "Devil's Head" is commonly used to describe these bank notes. The Bank of Canada had both bank note companies modify the face plates by darkening the highlights in the hair. These modifications were made in 1956 for all denominations.